It has been said that kitchens are the hearts of homes. Kitchens are in constant use, whether it’s during the day or at night. The use of kitchens has extended far beyond food preparation, though. A kitchen is a room within a home where memories are made, conversations and stories are shared with family and friends, and where our children learn how to make chocolate chip cookies and other delicious snacks and meals. Kitchens are becoming more important as they are one of the most used spaces in a home, and that’s why kitchen remodels are delayed or avoided. However, the truth is that kitchen cabinets, countertops, and appliances wear out. Kitchen design can also become outdated and ‘ancient’ as trends change over time. As a homeowner, your kitchen should be as functional, convenient, efficient, and beautiful as possible. However, if you have an older home, or if the characteristics above do not apply to your kitchen, then it may be time for a kitchen renovation. Upgrading your kitchen to a more modern space will not only make you happier, but it will also increase the value of your home. In fact, having a well-equipped and modern kitchen can significantly increase the value of your home as well as the chances of selling it, as kitchens are one of the most important factors in a home-buyers decision. So now that you know how getting your kitchen remodel can be beneficial, check out some common signs that indicate you may new to contact a contractor soon. Having a dated kitchen in your home can hold down its property value. If you are planning on selling your home, whether it is now or a few years from now, you may want to consider upgrading your kitchen so that you can increase its value and marketability, and get the most from the sale. Again, old kitchen appliances and equipment can become worn with use over time, which can make it more difficult for upkeep and cleaning. If you have a kitchen with old or inefficient kitchen appliances, you’re missing out on some technological advancements that make our lives much easier! Fluorescent lighting above and under cabinet lighting. Today, most families prefer having open kitchens with few enclosing walls. Unfortunately, some houses still have enclosed kitchens. Although some people prefer isolation that closed kitchens bring, many people are opting for open kitchens to increase communication and productivity throughout the household, while decreasing traffic flow and clutter. Open kitchens are not only more inviting to guests, but also add a sense of volume, especially in houses that are modestly sized. If you are someone who values family time, then an open kitchen may be something to consider. As we mentioned at the beginning of this blog, cabinets are one of the common things to wear in a kitchen. Most cabinets have a long lifespan, but when they become worn, it can be noticeable. The most common area to spot wear and tear on your cabinetry is on the front. After years of being handled and facing the elements of a kitchen, the finish on the front of cabinets will eventually begin to wear. Drawer boxes that are found in cabinets generally aren’t very strong, as most of them are constructed of particle board that is stapled together. Other common types of wear you can notice on cabinets are softness, mold, and water damage. Modern kitchen cabinets now feature long-lasting finishes that can fight off most kitchen messes. Additionally, drawer boxes have become more durable and sturdy to meet our needs. If you are going to upgrade your kitchen cabinets, you should also study the layout of your current countertops and consider upgrading those at the same time. Cabinets and countertops should complement each other to increase the kitchen’s overall appeal. For example, choosing to get a new counter now and waiting a few years before getting new cabinets, you could be stuck with a kitchen layout that you aren’t happy with because the countertop is not easy to remove. Choosing to remodel your kitchen all at once will get you closer to the kitchen you’ve always dreamed of! If you find that there is a lot of clutter building up in your kitchen and you keep running out of storage space, a kitchen remodel could be the perfect solution. Having customized cabinets installed in your kitchen can create more storage space that can help you fit all of your kitchen items in one area while having easier access than older and outdated cabinets. Having built-in cabinets added to your kitchen will make organization a simple and convenient task, making your life in the kitchen that much easier. A major, and quite frustrating, the issue people face with their kitchens is not having enough space to cook, clean, or even relax and unwind. A functional and efficient kitchen layout will offer plenty of counter space to make cooking large meals easier, as well as enough floor space to accommodate multiple people at once. When you choose to remodel your kitchen there are multiple ways to add more space, whether you add a kitchen island that will be helpful when preparing food or adding a double sink to make multitasking easier. Adding more workspace to your kitchen is a change that will definitely be noticed by those who spend hours preparing food. 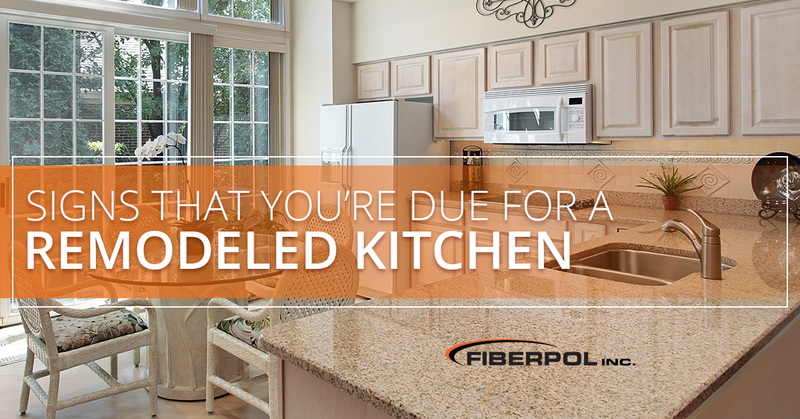 When you’re ready to remodel your kitchen in Barbados, contact the professionals at Fiber Pol. Our catalog features modern and trending countertops and cabinets that will make your kitchen beautiful! 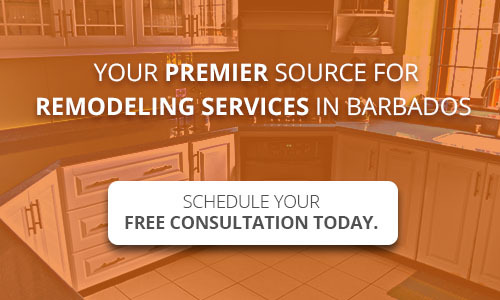 For more information, or to set up a free consultation, contact Barbados’s first choice for remodeling service, Fiber Pol!